An experimental organic farmers’ market set up by a ‘culinary activist’ is breaking down religious and cultural barriers in the Middle East. The end goal? To make food, not war. Souk el Tayeb’s story begins in 2004 at Beirut’s original open-air market. The very first of its kind in Lebanon, it did what farmers’ markets do – highlighted rural produce in the urban environment. 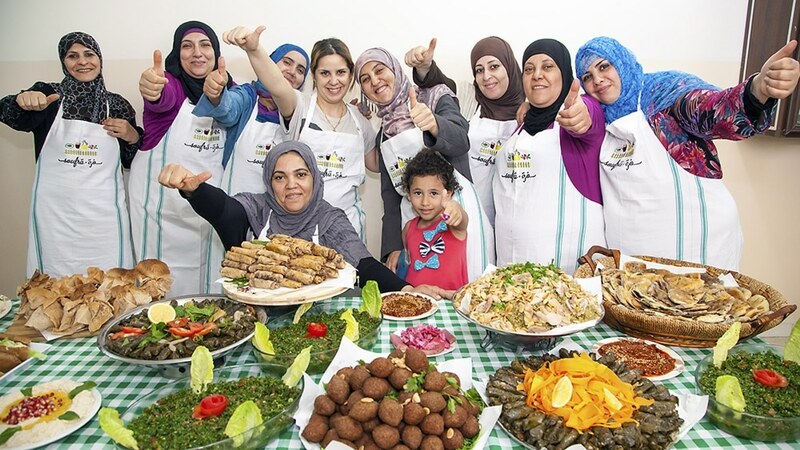 Aptly-named (as ‘tayeb’ means ‘good’, ‘tasty’ and ‘good hearted’ in Arabic), ‘the good market’ has evolved into a forum and movement to share food, traditions and hospitality – bringing together fractured communities. 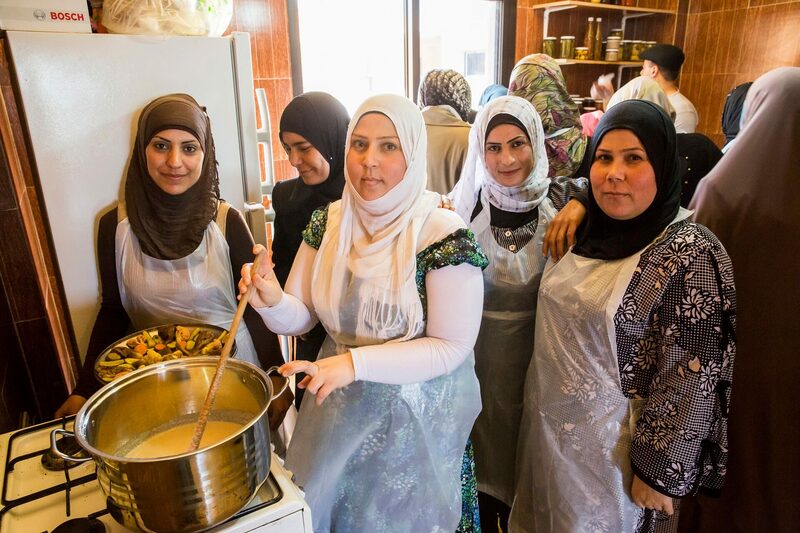 Following the train of thought that food is a way for people to express themselves and break down cultural barriers, five years after starting the souk, founder Kamal Mouzawak set up Tawlet farmers’ kitchen. 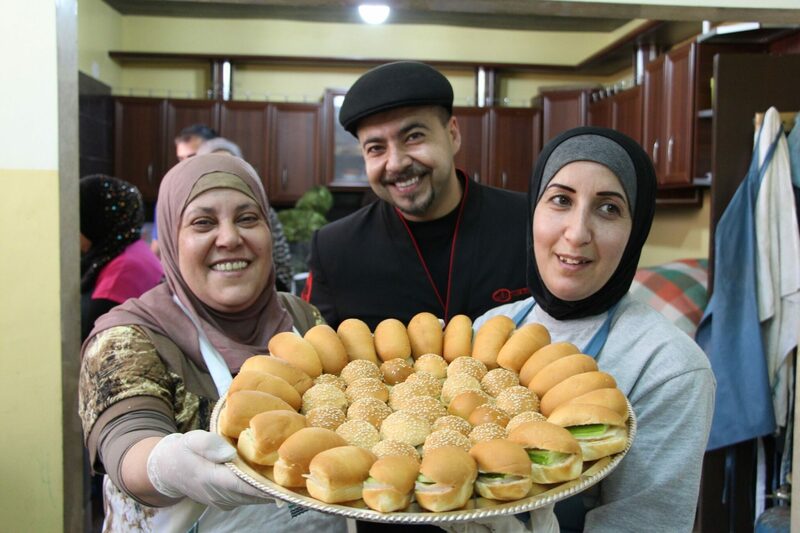 Every day the producers’ open kitchen introduces cooks who tell stories of their Lebanese regions through food. 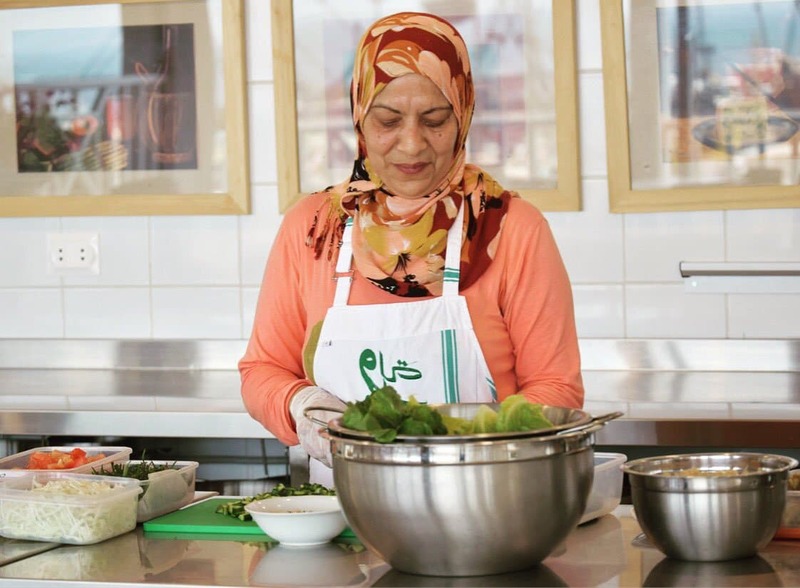 Today Tawlet has become an outlet for female cooks who have completed the Capacity Building Program, which pairs food and women and builds on culinary traditions and heritage. 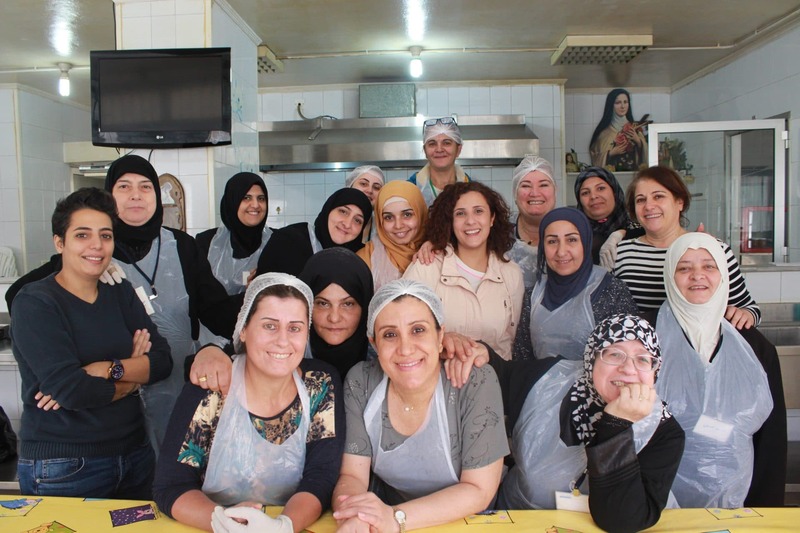 To date, more than 300 women refugees from Palestine, Syria and marginalised and rural Lebanese communities have signed up to the Capacity Building Program since 2012. “We equip them with technical, financial and personal skills to start their own enterprises, gain employment, develop agricultural endeavours, and work at Souk el Tayeb establishments – such as the farmers’ market, Tawlet kitchens, and festivals and events. That’s why ‘Make Food Not War’ is a highly relevant message in Lebanon,” he adds. The son of farmers and producers, agriculture and food is in Kamal’s DNA, so following a career as a food and travel writer, and a TV chef, setting up Lebanon’s first farmers’ market 14 years ago was a natural step. 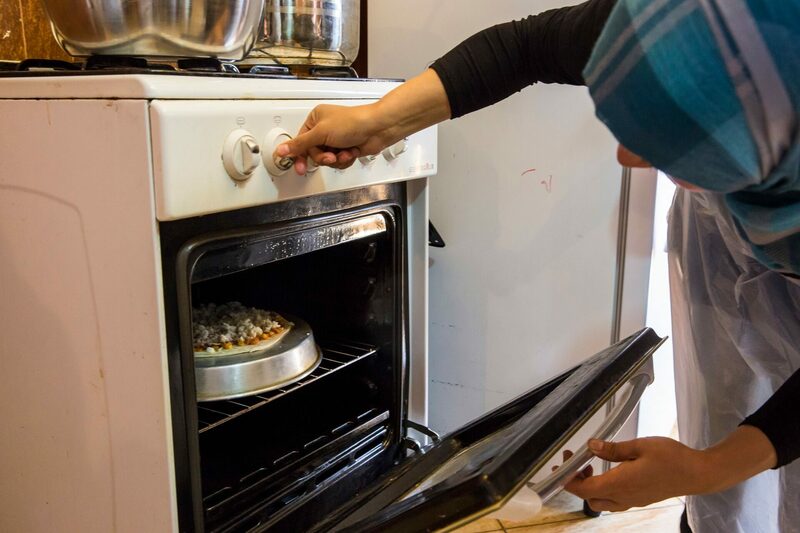 “Then we set up the farmers’ kitchen so that women from different regions of Lebanon could cook authentic dishes from their villages every day. It introduces people to new traditions expressed through food.” There is no excuse not to give yourself a taster: an up-to-date calendar schedules in who and what’s cooking for the week ahead. Take Georgina Al Bayeh. Born in north Lebanon into an olive-producing family, she branched into cooking. Foodies can find dishes such as war’a inab atee (stuffed vine leaves) and mafrouket al burghul (pressed bulgur wheat) at her stand at her regional Tawlet: her small catering company is now her full-time occupation. Since 2004, Souk El Tayeb’s network has mushroomed considerably. There are now two Beirut souks, the multi-location Tawlet, Food and Feast gastro festivals taking place around the country and guesthouses known as beit located in four villages around the country under its belt. All these entreprises within the network provide immediate solutions for graduates of its Capacity Building Program. Once someone creates a catering startup, they have an array of outlets to sell products or dishes at existing facilities and events; that means Souk El Tayeb’s objectives come full circle. 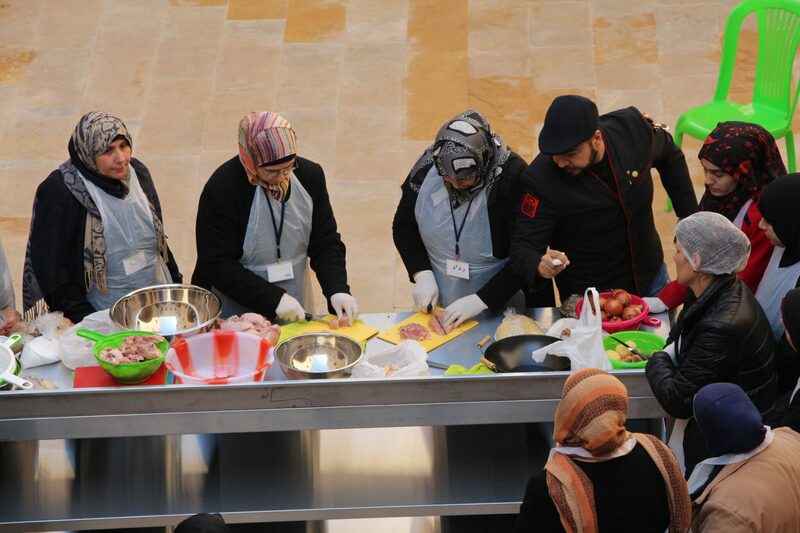 Over the years, Souk el Tayeb has partnered with the International Labour Organization, the UN Refugee Agency, the International Rescue Committee, Caritas, Ruwwad al Tanmeya in Tripoli and the Women’s Program Association among others. But its work and its partnerships are far from over. Sorrel Moseley-Williams is a freelance journalist and sommelier based in Argentina, found on the pages of Monocle, La Nación, Decanter, The Guardian, The Independent and Condé Nast Traveller among others. This project has been selected as part of CultureFutures, a new storytelling project that maps creative and cultural projects with a social mission – and the artists, collectives and entrepreneurs behind them. Atlas of the Future is excited to join forces with Goldsmiths Institute of Creative and Cultural Entrepreneurship and the British Council Creative Economy. Tags: Awareness raising, Communication, Community, Culture, CultureFutures, Education, Empowerment, Ethnicity, Food, Identity, Mentoring, Training, Women.